Werner von Siemens invented “Dynamo”, “Electric Elevator” and “Trolleybus”. Werner Von Siemens was a German inventor who made remarkable contributions to the fields of electronics and engineering. Born in Prussia (now a part of Germany) in 1816, he was the fourth of fourteen children. 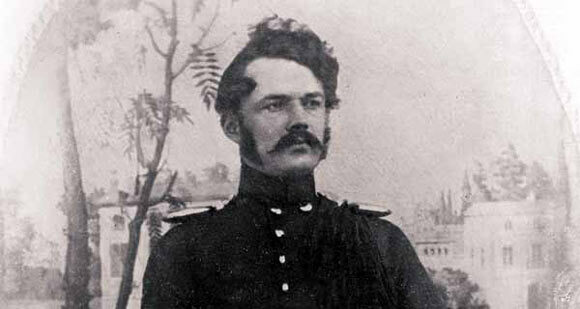 Without formally finishing high school, Siemens joined the Prussian Army to gain training in engineering which his father could not afford to give him. He was a creditable soldier, receiving awards and honors during his service, but his main interest was in developing a rapid and reliable means of communication. During his time in the army, he began conducting experiments which eventually led to the invention of the pointer telegraph. This was a machine which used a needle to point to the appropriate letter rather than using Morse Code to deliver messages. On the basis of this invention, Siemens along with two of his brothers, founded a company called “Telegraphen-Bauanstalt von Siemens & Halske” in 1847. It is today known worldwide as Siemens AG, and is one of the largest multinational engineering and electronics firms in the world. Some of their earlier products included electronically triggered railroad warning bells, water meters and electric telegraphs. In its early days, the company received an order to build a 500 km state telegraph line between Berlin and Frankfurt. However, relations with the Prussian government soon soured and the company had to look towards international markets to save itself from the financial crisis by setting up offices in England and Russia. They received a contract to build a telegraph line for the Russian government, as well as huge contracts in England, including laying down of submarine telegraph cables. The progress of Siemens’ company was furthered by the rapid rate of industrialization during the nineteenth century. This was an era of change and advancement, and Siemens was right there to capitalize on it. Werner von Siemens’s philosophy was to nurture and grow the business by expanding globally. He did feel the responsibility of providing for his family but his primary motivation wasn’t wealth; instead it was creating a legacy and a business empire which he could leave behind for his family to nurture. Siemens filled key managerial positions in different countries with members of his family as he felt that they would be the most loyal and capable employees for the job. Siemens was greatly interested in research and was a pioneer of several important breakthroughs in electrical engineering. Expanding on the research of Michael Faraday, Siemens was amongst the first to suggest that electricity could be used as a source of power. He sent a report based on his research to the Berlin Academy of Sciences which contributed greatly to the development of power engineering. Some of his breakthrough products included the first electric railway, streetlights and elevator. Siemens also coined the term “Elektrotechnik” which is the German word for electrical engineering. Siemens was a social entrepreneur and was famous for some of his business policies such as a system of profit sharing, pension schemes for orphans and widows and other social initiatives which were unheard of before his time and not even enforced by governments until decades later. He did this not only out of a sense of responsibility towards his employees, but also felt that it increased employee loyalty towards the company. Siemens was also a politician, being an elected representative of the Prussian state assembly between 1862 to 1866. He set up and chaired several societies and institutes to further research and development in the field of science and engineering. He received several awards and honors for his contributions to technological advancements, including being raised to the nobility by Emperor Friedrich III. Siemens officially retired from business in 1890 and died in 1892.